Today I am going to answer the question: “What is intuitive eating?” In my opinion, there is no better way to eat than to eat intuitively…yet most of us don’t have the first idea what that even means. I have mentioned intuitive eating quite a bit in my blog posts and videos, but I have never done a focused segment on exactly what it is. Today’s post will be the first in a series of posts I am writing about intuitive eating, what it all means, and how to incorporate this innate wisdom into your own life. When I was first introduced to the concept of intuitive eating (many years ago), I shied away from it. I was not ready to dive into it or embrace it as a practice in my own life. I thought it was total and utter nonsense. There was no way I could ever eat intuitively… Later, I learned that the there was a good reason that the concept turned me off and that stemmed from the fact that I had no trust in myself or my body (as discussed in this post). Thankfully during the following few years, I went through a time of profound healing when it came to my relationship with food, body, and self and instinctively picked up the Intuitive Eating book again. This time, I sank my teeth into it with such excitement and passion. THIS was what I had been searching for, I just didn’t know it. And I couldn’t embrace it until I was ready. Remember that old adage: When the student is ready, the teacher appears? Well, that happens over and over and over again in my life. And I’m guessing it does in yours as well. When it comes to the formal definition of “what is intuitive eating?”, there is some variance depending on who you talk to. That is why I have my own personal definition of intuitive eating, which helps explain the perspective I come to this practice for myself and my clients. Eating in a way that nourishes our mind, body, and soul while honoring and respecting our own individual dietary needs (and never with shame, guilt, or ethical confusion). Simply put, intuitive eating is what we used to do as babies and small children. It is the beautiful marriage of knowing when we are hungry, when we are full, and eating what truly nourishes us on all levels (mind, body, and soul). Yes, eating is a mind-body-soul event. Think back to when you were a baby. Well, you likely can’t remember that, but if you are a mother or father you know that babies know when they are hungry and know when they are full. This is because our bodies are designed with all the biologically necessary tools to properly inform us of hunger, fullness, and satiation. But after living in a culture where diets and disordered eating are pushed on us every day, those cues get overridden with what society tells us we should do and we slowly lose touch with our body. We lose touch with our intuition and begin to rely on all sorts of outside forces to tell us when we are hungry, full, how much to eat, what to eat, etc., when we should be listening to our intuition and our own body wisdom to guide us. It’s no wonder that we now live in a world where 96% of all women either hate their body or dislike it to some degree (source, source, source). And let’s not forget that this is not just grown women. This is our little girls too. Research has shown diet/restriction mentality, fear of fat, and disordered eating trends in girls as young as 5 years old (source). 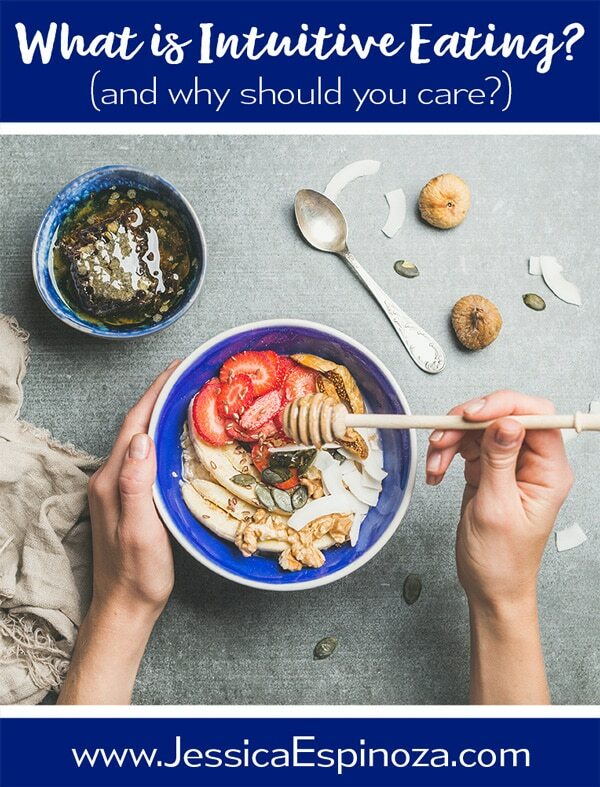 Why Should I Care About Intuitive Eating? You might be thinking, “why should I care about intuitive eating?“. That is a very good question! One of the primary things that keeps us in an unhealthy place when it comes to food is because we now live in a world where nutrition information and advice is abundant, but the abundance is not always a good thing. We are in an era of information overload and it’s wreaking havoc on our health. Everyone and his brother has an opinion about how we should eat for health, longevity, and healing chronic illness. There is page after page, book after book, about the “ideal” diet to make this happen. We have hundreds of thousands of articles all telling us what foods are “good” and what foods are “bad”. We have practitioners with a wide range of backgrounds all focusing on what they believe the “truth” to be, but in reality, most of them are operating in their own personal zone of truth. What is true for them and the clientele they attract may not be true for the whole population. Don’t get me wrong. I am not shaming anyone here. I love and admire the practitioners I know personally and the ones I follow from afar. I know that there are some really amazing people leading the charge in natural health and healing. I am just pointing out that everyone, myself included, has their blind spots. I don’t believe there is any one person who has it #allfiguredout. I don’t believe there is any one way of eating that suits everyone. I don’t believe that chronic illness can be reduced to x, y, and z.
I love the Internet and all the wonderful things it provides us. I love the fact that we can all share our opinions, wisdom, and expertise with an audience much larger than we could ever impact otherwise. However, I have also discovered that, with an era of information overload, we also need a new era of discernment and intuitive wisdom. That is why I am so passionate about intuitive eating. Intuitive eating allows us to return to ourselves, to cut through the noise in the nutritional world, to tune into our intuition and body wisdom, to discern exactly what works for our bodies and our needs through the process of open exploration and experimentation. Intuitive eating simplifies the complex world of food. It is a foundation upon which we can build a truly healthy relationship with food and body so we can show up in the world with vibrant energy and passion. Intuitive eating is not a diet, there are no “good” and “bad” foods. There are simply foods that work for you and foods that don’t. There are no rules that must be followed which means there is nothing that you can “fail” at, creating that cascade of shame and overwhelm that so many of us have experienced. Intuitive eating allows you to let go of food rules, yo-yo dieting, restricting then binging, feeling deprived, and ultimately a release of the negative emotions you have felt around your food choices and your body for months, years, or even decades. Ultimately, intuitive eating is what will create long-term health and longevity. Information is great, but change and transformation only happens when we TAKE ACTION on the information we’ve been exposed to. When we just gather, gather, gather with no implementation, we start to get stuck in the information overwhelm state that I mentioned above. So today, I’d like for you to take action on what you have read! Action leads us closer to our dreams. If you are new to the idea of intuitive eating, take some time to reflect on how this approach could help you shift how you currently view food. How could tuning into your body lead you into a new relationship with food and your body? How could it improve your mental and physical health? If you are not new to the concept of intuitive eating, reflect on how you are already eating intuitively and how that has impacted your relationship to food and body. Has the intuitive process led to improvements in your health, more mental clarity and peace, less stress and ovewhlem? If you have a journal, jot down your thoughts, ideas, and emotions in there so you can always refer back to them whenever you need. Remember, as you are going through this process if judgment or fear comes up, acknowledge it, but don’t give in to it. I hope today’s post about “what is intuitive eating?” has been helpful. As mentioned above, this is the first in a series of posts I am going to do. I am striving to keep these posts shorter and more concise in an effort to give you nuggets of wisdom that you can quickly implement into your own life and journey to peace with food and body. 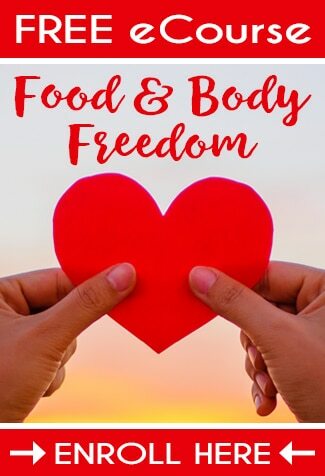 Speaking of peace with food and body, if you are ready to start cultivating a new relationship with your body and food, I would love to have you join my free 7-Day Food & Body Freedom eCourse. In this course, I will help you get started on the path to a whole new relationship to food, and ultimately to your body. You will begin to experience the peace, freedom, and passion that you may have been searching for. 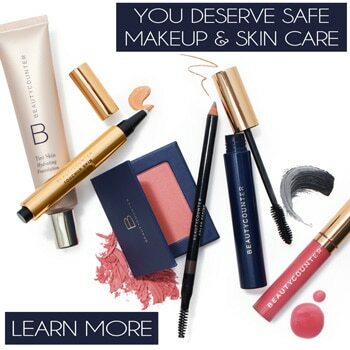 You can enroll for free here or click on the image below. If you are ready to dive into the world of Intuitive Eating, I have a few resources for you to check out. Stay tuned for new posts on this topic coming soon where I will be sharing more about how I incorporate intuitive eating into my own life and those of my clients.